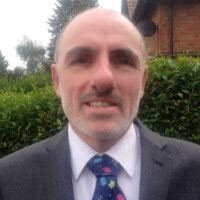 Paul Mahon joined iFormulate Ltd. as an Associate Partner in September 2014 having gained 30 years of experience in scientific research and development, working for several of the world’s largest blue-chip chemical companies. (ICI, Zeneca, Avecia, BASF, Merck and Authentix). Paul has worked closely with customers, collaborators and universities in the dyestuffs, biocides, inkjet, printed electronics and security marker sectors. He has managed small teams of post graduate scientists in complex research and development projects. His formulations sell many tonnes per annum worldwide. He has have travelled widely and frequently across America, Asia and Europe working closely with international colleagues, academics and customers from widely differing cultural backgrounds, attending conferences & collaborations, auditing, setting up and running plant and giving presentations. Paul has worked on the many aspects of chemistry associated with the synthesis, formulation, evaluation and scale-up of dyes, pigments, polymers, organic electronics and overt and covert security markers. He has managed the scale-up and technical transfer of his formulations to various plants within the UK, the USA, Europe and China and has worked from early speculative research to full scale industrial synthesis and manufacture. Paul will be using these skills and this experience for the benefit of iFormulate Ltd and its clients.